MERCEDES BENZ CERTIFIED***AWD**, **NAVIGATION**, **SUNROOF**, **REAR-VIEW CAMERA**, **BLIND SPOT MONITOR**, **HEATED SEATS**, *KEYLESS ENTRY*, *BLUETOOTH*, *SATELLITE RADIO*, *PARKING SENSORS*, 115V AC Power Outlet, harman/kardon®? Logic 7®? Surround Sound System, KEYLESS GO?, Navigation System, Navigation Updates For 3 Years, Premium Package, Radio: COMAND®? System w/Navigation, Rear-View Camera, Region Coding, Single DVD Player, SIRIUS XM Satellite Radio, Trailer Hitch. Certified. CARFAX One-Owner. Clean CARFAX.MERCEDES BENZ CERTIFIED***AWD**, **NAVIGATION**, **SUNROOF**, **REAR-VIEW CAMERA**, **BLIND SPOT MONITOR**, **HEATED SEATS**, *KEYLESS ENTRY*, *BLUETOOTH*, *SATELLITE RADIO*, *PARKING SENSORS*, 115V AC Power Outlet, harman/kardon®? Logic 7®? Surround Sound System, KEYLESS GO?, Navigation System, Navigation Updates For 3 Years, Premium Package, Radio: COMAND®? System w/Navigation, Rear-View Camera, Region Coding, Single DVD Player, SIRIUS XM Satellite Radio, Trailer Hitch. Certified. CARFAX One-Owner. Clean CARFAX. MERCEDES BENZ CERTIFIED**AWD**, **NAVIGATION**, **REAR-VIEW CAMERA**, **BLIND SPOT MONITOR**, **HEATED SEATS**, **IPOD ADAPTER**, *BLUETOOTH*, *SATELLITE RADIO*, 115V AC Power Outlet, Android Auto, Apple CarPlay, Blind Spot Assist, DVD Player, harman/kardon®? Logic 7®? Surround Sound System, Heated Steering Wheel, KEYLESS GO?, Lane Keeping Assist, Lane Tracking Package, Navigation Updates For 3 Years, Power Liftgate, Power moonroof, Premium 1 Package, Radio: COMAND® Navigation, Region Coding, SiriusXM Satellite Radio, Smartphone Integration (14U). Certified. CARFAX One-Owner. Clean CARFAX. Odometer is 2491 miles below market average!MERCEDES BENZ CERTIFIED**AWD**, **NAVIGATION**, **REAR-VIEW CAMERA**, **BLIND SPOT MONITOR**, **HEATED SEATS**, **IPOD ADAPTER**, *BLUETOOTH*, *SATELLITE RADIO*, 115V AC Power Outlet, Android Auto, Apple CarPlay, Blind Spot Assist, DVD Player, harman/kardon®? Logic 7®? Surround Sound System, Heated Steering Wheel, KEYLESS GO?, Lane Keeping Assist, Lane Tracking Package, Navigation Updates For 3 Years, Power Liftgate, Power moonroof, Premium 1 Package, Radio: COMAND® Navigation, Region Coding, SiriusXM Satellite Radio, Smartphone Integration (14U). Certified. CARFAX One-Owner. Clean CARFAX. Odometer is 2491 miles below market average! AWD *** SPORT PACKAGE**PREMIUM PACKAGE** 17 WHEELS** BURL WALNUT WOOD TRIM *** LOW MILES!! LOCAL TRADE IN..... CLEAN CARFAX!! GO TO MERCEDESBENZOFLYNCHBURG.COM ! !AWD *** SPORT PACKAGE**PREMIUM PACKAGE** 17 WHEELS** BURL WALNUT WOOD TRIM *** LOW MILES!! LOCAL TRADE IN..... CLEAN CARFAX!! GO TO MERCEDESBENZOFLYNCHBURG.COM !! Certified. Clean CARFAX. CARFAX One-Owner. Odometer is 2968 miles below market average!CARFAX 1-OWNER**, NON SMOKER**, MERCEDES-BENZ CERTIFIED**, AWD**, LOCAL TRADE**, BLUETOOTH**, HIGH PERFORMANCE TIRES**, KEYLESS ENTRY**, REMOTE START**, NAVIGATION SYSTEM**, KEYLESS IGNITION**, ADAPTIVE CRUISE CONTROL**, PARKING ASSIST**, ATTENTION ASSIT**, PANORAMA SUNROOF, HEATED AND VENTILATED SEATS, HEATED STEERING WHEEL, PREMIUM 3 PACKAGE, SURROUND VIEW CAMERA, 2nd Seat Row Pass-Through, Active Blind Spot Assist, Active Brake Assist w/Cross-Traffic Function, Active Lane Keeping Assist, Ambient Lighting, BAS® PLUS, CMS Pedestrian, CMS Rear, Distance Pilot DISTRONIC, DISTRONIC PLUS® w/Cross-Traffic Assist, Driver Assistance Package, Heated & Cooled Cup Holders, Parking Assist Package, Parking Assist Package Code, PARKTRONIC w/Advanced Parking Assist, Premium 3 Package, PRESAFE® Brake w/Pedestrian Recognition, Surround View System, Traffic Sign Assist.Awards: * 2017 IIHS Top Safety Pick+ Reviews: * Several engine choices; quiet, upscale and well-built interior with a roomy backseat; long list of standard safety and technology features. Source: Edmunds * Elegant interior and exterior design; excellent balance between agile handling and a comfortable ride; abundant safety equipment that is better executed than most; fuel-efficient turbocharged engine. Source: Edmunds * Balance of comfort and performance makes it an appealing daily driver; solid fuel efficiency from the standard four-cylinder engine; plenty of room for adult-sized passengers in back; a long list of advanced safety features are available; elegant design inside and out gives it a true luxury appearance. Source: EdmundsCall 855- LUXURYCARS or come see us one mile past Outback on 220!!Certified. Clean CARFAX. CARFAX One-Owner. Odometer is 2968 miles below market average!CARFAX 1-OWNER**, NON SMOKER**, MERCEDES-BENZ CERTIFIED**, AWD**, LOCAL TRADE**, BLUETOOTH**, HIGH PERFORMANCE TIRES**, KEYLESS ENTRY**, REMOTE START**, NAVIGATION SYSTEM**, KEYLESS IGNITION**, ADAPTIVE CRUISE CONTROL**, PARKING ASSIST**, ATTENTION ASSIT**, PANORAMA SUNROOF, HEATED AND VENTILATED SEATS, HEATED STEERING WHEEL, PREMIUM 3 PACKAGE, SURROUND VIEW CAMERA, 2nd Seat Row Pass-Through, Active Blind Spot Assist, Active Brake Assist w/Cross-Traffic Function, Active Lane Keeping Assist, Ambient Lighting, BAS® PLUS, CMS Pedestrian, CMS Rear, Distance Pilot DISTRONIC, DISTRONIC PLUS® w/Cross-Traffic Assist, Driver Assistance Package, Heated & Cooled Cup Holders, Parking Assist Package, Parking Assist Package Code, PARKTRONIC w/Advanced Parking Assist, Premium 3 Package, PRESAFE® Brake w/Pedestrian Recognition, Surround View System, Traffic Sign Assist.Awards: * 2017 IIHS Top Safety Pick+ Reviews: * Several engine choices; quiet, upscale and well-built interior with a roomy backseat; long list of standard safety and technology features. Source: Edmunds * Elegant interior and exterior design; excellent balance between agile handling and a comfortable ride; abundant safety equipment that is better executed than most; fuel-efficient turbocharged engine. Source: Edmunds * Balance of comfort and performance makes it an appealing daily driver; solid fuel efficiency from the standard four-cylinder engine; plenty of room for adult-sized passengers in back; a long list of advanced safety features are available; elegant design inside and out gives it a true luxury appearance. Source: EdmundsCall 855- LUXURYCARS or come see us one mile past Outback on 220!! Certified. Clean CARFAX. CARFAX One-Owner. Odometer is 3740 miles below market average!Call 855- LUXURYCARS or come see us one mile past Outback on 220!!Certified. Clean CARFAX. CARFAX One-Owner. Odometer is 3740 miles below market average!Call 855- LUXURYCARS or come see us one mile past Outback on 220!! Clean CARFAX. 21/29 City/Highway MPG Odometer is 2083 miles below market average!CARFAX 1-OWNER**, NON SMOKER**, BLUETOOTH**, HEATED SEATS**, KEYLESS ENTRY**, REMOTE START**, REAR VIEW CAMERA**, NAVIGATION SYSTEM**, SATELLITE RADIO**, BLIND SPOT MONITOR**, KEYLESS IGNITION**, PARKING SENSORS**, ATTENTION ASSIT**, PANORAMA SUNROOF, LIGHTING PACKAGE, AMG® LINE, 18 AMG®? 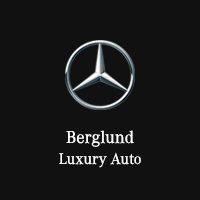 5-Spoke Wheels, Active Parking Assist, Adaptive Highbeam Assist, AMG® Line Exterior, AMG®? Body Styling, Electric Trunk Closer, Exterior Lighting Package, Hands-Free Access, KEYLESS GO Comfort Package Code, KEYLESS GO?, LED Intelligent Light System, Navigation system: COMAND®, NFC Wireless Charging, Parking Assistance Package, Perforated Front Brake Discs & Fr Brake Calipers, Premium 1 Package, SiriusXM Radio, Sport Interior, Sport Interior (P15), Sport Package, Surround View Camera.Call 855- LUXURYCARS or come see us one mile past Outback on 220! !Clean CARFAX. 21/29 City/Highway MPG Odometer is 2083 miles below market average!CARFAX 1-OWNER**, NON SMOKER**, BLUETOOTH**, HEATED SEATS**, KEYLESS ENTRY**, REMOTE START**, REAR VIEW CAMERA**, NAVIGATION SYSTEM**, SATELLITE RADIO**, BLIND SPOT MONITOR**, KEYLESS IGNITION**, PARKING SENSORS**, ATTENTION ASSIT**, PANORAMA SUNROOF, LIGHTING PACKAGE, AMG® LINE, 18 AMG®? 5-Spoke Wheels, Active Parking Assist, Adaptive Highbeam Assist, AMG® Line Exterior, AMG®? Body Styling, Electric Trunk Closer, Exterior Lighting Package, Hands-Free Access, KEYLESS GO Comfort Package Code, KEYLESS GO?, LED Intelligent Light System, Navigation system: COMAND®, NFC Wireless Charging, Parking Assistance Package, Perforated Front Brake Discs & Fr Brake Calipers, Premium 1 Package, SiriusXM Radio, Sport Interior, Sport Interior (P15), Sport Package, Surround View Camera.Call 855- LUXURYCARS or come see us one mile past Outback on 220! !